UCLA: Champions Made Here. That slogan was never more true than on last Sunday, when UCLA won their unsurpassed 116th NCAA Championship WHILE at the very same time, over 30 students EARNED their way onto the unparalleled UCLA Spirit Squad. UCLA’s 116th NCAA Title was the FIRST for the Women’s Beach Volleyball Team, who had to win FOUR straight matches on the final two days of the competition, including a win over usc on Saturday, and a win over Florida State in the Title Match on Sunday. 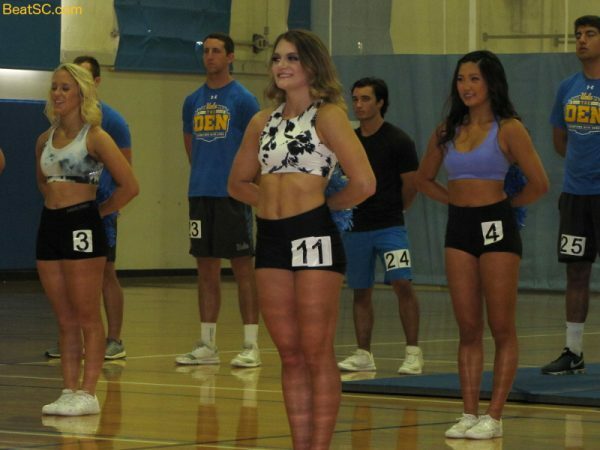 That Championship victory on Sunday was announced moments after it happened, in the Student Activity Center on UCLA’s campus, where the Spirit Squad Auditions were being held. Perhaps that natural high of knowing that UCLA breeds Champions inspired the audition participants to find that extra gear, and perform better than they ever have before. It took stellar performances to make the cut, because the competition was as stiff as could be. Lots of people were cut, despite being entirely worthy of inclusion. You will see a couple of them in the following photos. 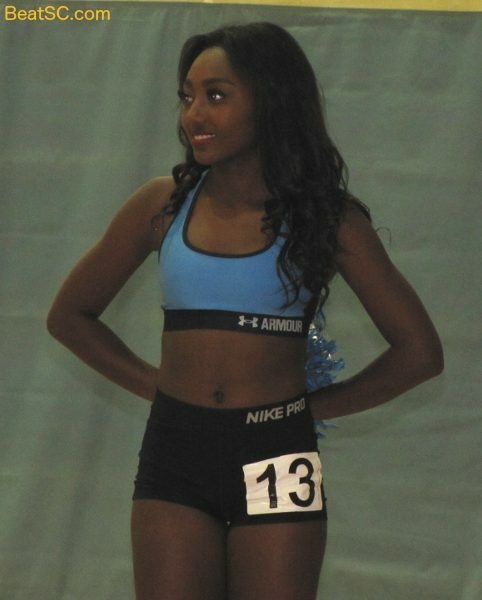 Here are 42 more photos from Sunday, all of the CHEER SQUAD tryouts. I have about 1000 more photos from these Cheer and Dance auditions to go through, edit, and post, so come back soon and often, as I intend to post new batches of pics constantly over the next few weeks. "UCLA: WHERE CHAMPIONS ARE CHEERED BY CHAMPIONS" was published on May 10th, 2018 and is listed in Blue & Gold News, UCLA/usc/Cheerleader Photos.